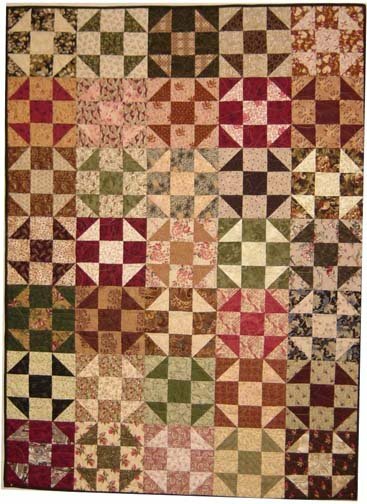 Easy piecing and lovely Reproduction fabrics make a great small quilt! Shoo Fly is a traditional quilt pattern - each block contains only two fabrics, and the piecing is just squares and half-square triangles. Our kit contains the instructions, and all the fabrics to complete the top (35 blocks), which finishes at 37" x 52" - great for either a baby quilt or a wall hanging.